This is a book that seemed equal parts suspenseful and exciting. I think we all long for a fresh start at one point or another. Perhaps even a memory or two that we'd even like to have erased. I know there are several moments in my past I'd like to forget. For Sarah, this desire is a reality....although the motives behind her memory loss are much more sinister. This book doesn't play around with action. From the very first page the action takes off. At the beginning of the story we find Sarah entering her last round of brain surgery to completely wipe her memories. As the operation commences and the final holes are drilled into her head, the power in the entire building shuts off leaving Sarah and her doctors in complete darkness. For Sarah, this “darkness” continues throughout the novel and as she discovers why her memories have been erased, and uncovers a much more ugly plot. While this is a fast paced adventure plot, I found the characters rather flat. For me, the sign of a good book is when the reader can connect with the characters and feel some sort of attachment to them—good or bad. I didn’t feel this for Sarah at all. I was ambivalent about her outcome and more curious about the puzzles within the plot. Overall I really enjoyed this book. For readers that enjoy action packed stories like The Maze Runner will definitely enjoy this book. 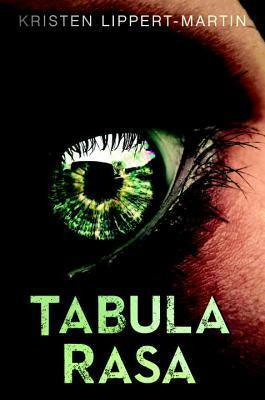 I gave Tabula Rasa four stars on Goodreads. Sounds like an interesting plot, but flat characters... I don't know. Thanks for the review, though. I might consider reading this one at some point.